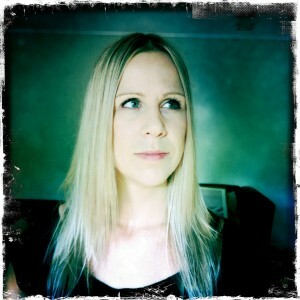 Author of several children’s books and currently at work on a debut novel, the stories of writer and editor Irma Gold have been published in such notables as Meanjin, Island and Going Down Swinging and she is, of course, a blogger here at Overland. Her debut collection of short fiction, Two Steps Forward is the final piece to the most excellent puzzle that is the Long Story Shorts series published by Affirm Press. Today, Gold chats with us about her process and what she’s up to now. The work begins with the line, ‘You’re a good neighbour’, from ‘The Art of Courting’. The second-person point of view is notoriously difficult and I am impressed by the way you handle it, and by the shifts in point of view through the stories. In ‘Your Project’ you ask the reader to walk around in a pair of very difficult shoes. Can you tell us a little about working from the different conventions of point of view? Second person can be tricky but there’s something I find quite freeing about it. It has a particular quality that allows me to experiment with language. ‘The Art of Courting’ is about a single woman in her forties who engages in a series of flirtatious games with a new neighbour. So the story itself has a sense of play and the language does too. There’s also an element of voyeurism about this story and the use of second person to place the reader in this woman’s shoes magnifies that. Different points of view work for different stories and I don’t have a particular favourite. I find that the characters and what the story needs dictate which point of view I use. ‘Kicking Dirt’ is a rich story: there really is a novel’s worth of back-story and presence here, skilfully managed. This ‘sense of the whole’ of the larger story indicated by the short form is something I’m very interested in. Is there a novel in the wings? A screen play? Why the short story form? That’s what I love about the short form; the way it’s a slice of a larger world, a glimpse of something bigger. For me, the characters are fully-rounded people, with their own lifetime of history and quirks and experiences, and I always hope that translates to the page. I want my reader to be able to imagine a life beyond the brevity of the story. I love short stories – both reading and writing them. There’s this idea that gets put about that they are a training ground for writing a novel. I completely disagree. The novel and the short story are two completely different beasts. And speaking of novels, yes there is one in the wings. I’ve been working on it in a very part-time way for the last five years in between editing and child wrangling. It’s frustratingly, tantalisingly close to being finished. I had a residency at the Varuna Writers Centre earlier this year where I cracked a problem that I’d had with it for months. But then it got sidelined. I became immersed in the editing process for Two Steps Forward, then various major editing projects took over, and now there’s all the publicity work for this and another book I’ve edited. I’m itching to stop talking about writing and actually do some! I have some time set aside in January when I’ve promised myself I’ll do nothing but focus on the novel. I’m sure the long break will actually prove beneficial, allowing me to come to it fresh, but I’m craving being in that space again with those characters. ‘The Third Child’ also deals with the almost ‘underground’ reality of women and pregnancy, in particular, women in miscarriage and ‘mothering’ is one of the themes of the collection. I know from your work at Overland that this is a deeply personal realm for you. Can you talk to us about the process of writing painful subject matter, and also on having that work edited and then published in the public domain? I haven’t heard it put like that before – ‘underground’ – but it’s such an accurate description. Miscarriage is so common – women experience 55,000 miscarriages each year in Australia alone – but it doesn’t get talked about openly at either a private or public level. And yes, this is very personal subject matter because I experienced a miscarriage myself, which I wrote about for Overland, but I also wanted to deal with miscarriage through fiction because it’s rarely represented in anything other than clichés. I wanted to write about characters that were authentic, and really draw the reader into the complexity of the experience. Having this story go out into the public domain has been quite challenging because it is linked closely with my own experience, but it seems to have struck a chord with so many people. It’s the story that has been singled out the most – by both men and women – so readers have obviously connected with it. That’s been very gratifying. ‘Tangerine’ is also a poignant slice of the ‘difficult life’ that is not much talked about and, in my opinion, would make an excellent short film, as would many of the stories in Two Steps Forward. Are you purposefully ‘cinematic’ in your approach? It’s interesting that you should say that. I don’t set out with the intention to be cinematic and yet the opening scene of ‘Tangerine’ arrived in my imagination much like a complete movie scene. I saw a man and a young girl standing together on a platform in the middle of the night. They were ill-at-ease with each other, and I wanted to know why this was, and what they were doing on that platform. The story unravelled from there. I’d love to see ‘Tangerine’ as a short film (any interested filmmakers out there?!). I was lucky enough to have a filmmaker make a book trailer for Two Steps Forward using snatches of text from ‘The Art of Courting’. It really is a piece of art in its own right. The footage is stunning, but he also really captured the style and essence of that story, and of the collection as a whole. It’s quite something seeing your words come alive in a different medium. How did you get involved with Affirm Press and the SHORTS initiative? I saw Affirm’s press release calling for submissions to their Long Story Shorts series of six collections by newer writers. Given that it’s so difficult to get a collection published unless you’re already a well-established author the initiative was perfect for me. As it was for 450 other writers. Affirm Press were inundated with manuscripts and spent months wading through them. Fortunately for me Two Steps Forward was chosen as the series’ swansong. And it’s been a brilliant ride. Two Steps Forward can be purchased at all good book stores. Thank you Clare for another of your wonderful interviews. The excerpt from ‘Tangerine’ leaves you wanting to read everything Irma has written and the book trailer is as enticing. Great interview, Clare. 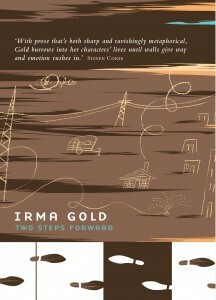 Irma has a great story up on Verity La at http://verityla.wordpress.com/2011/07/06/the-game-irma-gold/ that is spectacular, will definitely check out Two Steps Forward. Irma’s novel sounds like a wonderful finale to a great series. I wonder if Affirm will do something like this again.